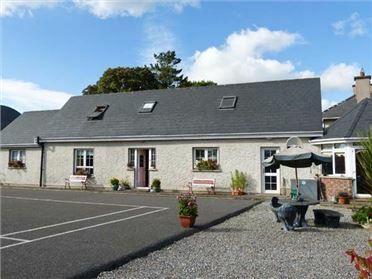 Corr an Droma is a detached cottage in beautiful countryside close to the village of Schull, County Cork. The cottage sleeps eight people in three double bedrooms (one with an en-suite) and a double sofa bed as well as a family bathroom. 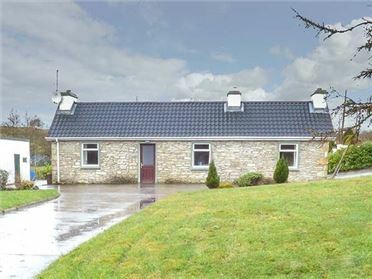 The cottage also contains an open plan living area with a kitchen and a sitting area and multi-fuel stove plus a second sitting room with the sofa bed. Outside is off road parking and a courtyard garden with outdoor furniture. 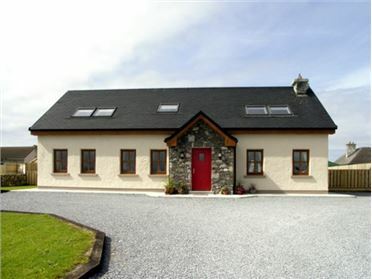 With stunning sea views, Corr an Droma is a lovely family holiday home in beautiful Irish countryside. Three bedrooms: 2 x double, 1 x ground floor double with en-suite shower, basin and WC. Bathroom with bath, separate shower, basin and WC. Open plan living area with kitchen, dining area and sitting area with multi-fuel stove. Sitting room with sofa bed. Utility. Oil central heating with multi-fuel stove. 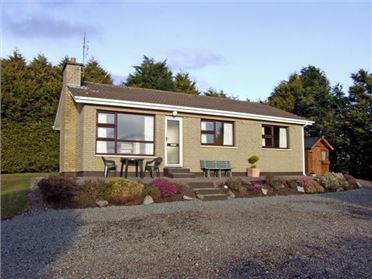 Electric oven with gas hob, microwave, fridge/freezer, washing machine, tumble dryer, dishwasher, TV with Saorview, DVD, WiFi, selection of books and games. Fuel, power and starter pack for stove inc. in rent. Bed linen and towels inc. in rent. Ample off road parking. Courtyard garden to front with furniture and BBQ. Two well-behaved dogs welcome. Sorry, no smoking. Shops and pubs 3 miles.